Well, that can be a sometimes daunting question, especially if you have not had much experience with remodels or renovations before. There are a few options to get started. Do It Yourself– If you are the handy sort, and this specific task is in your wheelhouse, then gather your supplies and work your magic! Hire a contractor- A contractor will bring his or her own subcontractors to the job and coordinate the timetable and the work, but all of this comes with a price. Some contractors will charge a flat fee, while others charge a percentage of each component of the job. If you are in a position to do this, then it may help you save your sanity! Ha! Find a trade specific vendor to complete each component of the remodel- For example, if you are planning to remodel your kitchen, then you would find a vendor to do the tile and stonework and counter-tops, an electrician for any lighting, a carpenter or cabinet maker to handle the cabinets, and shop appliances at big box stores or appliance vendors, while you manage each of the vendors and the timeline of the project. If you are in a position to do this, then it may save you money. A few words to the wise…all vendors and contractors are not created equal. A wise woman (my mom, one half of THE PRZADA TEAM) once told me, use the rule of 3, meaning, get three estimates from vendors or contractors. That way, you can get a feel for who is the most knowledgeable, whose rates are the most reasonable/outrageous, and whom you feel that you would work well with. Also, researching vendors and contractors online with the help of the Better Business Bureau, Angie’s List, Google Reviews, Facebook Reviews are all good options to learn more about the potential person you hire. 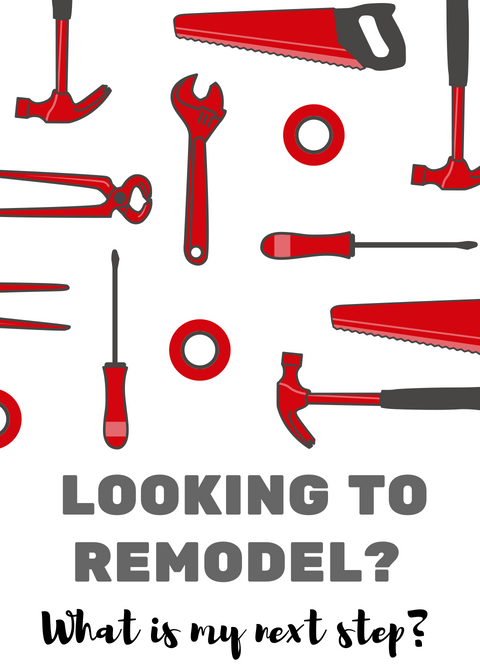 A remodel is an undertaking, even if you are hiring every single bit of it out. Depending upon the scope of the work, there will be inconvenience at the very least, all the way up to completely changing your living arrangements during the job. Timetables shift, as do budgets. Be prepared for the job to take longer and cost more than the original estimate. That is not always the case, but if you know it is a possibility, you are less likely to be shocked. Ask THE PRZADA TEAM for vendor suggestions. YOU, of course, are under no obligation to use anyone we suggest. It is up to you. We do have a Vendor List that we curate routinely. To make “the list,” a vendor, contractor, or service provider must either come highly recommended to us from a very trusted source, or have personally worked with us and given us great service, and or a wonderful product. We revisit our list over time, so we certainly remove those that fall below our high standard, and we add new vendors that we discover. Next Get To Know THE PRZADA TEAM! Previous Legacy Food Hall- YES, PLEASE!! !